I’m a big fan of any sort of graphic organiser (as you’ll see here). So when I hit upon a new way to use traffic lights in class last week, I thought: ‘I know, I’ll write a blog post about it!’ Here it is, along with two other ways to use traffic lights in the classroom. I was teaching a new pre-intermediate IELTS class of fairly mixed ability. We did IELTS reading and listening tasks for the first time. When I went to elicit answers, I stopped for a moment and realised: I don’t really know how they feel about the difficulty of the task. So I was delivering a short training session for teachers about lesson planning a few of weeks ago. One of the things that came up was ‘fast finisher activities’. We didn’t have time to go into it in the session, but I think it’s possibly one of the most misleading terms in TESOL. In my previous blogpost for LearningEnglish (Breaking up big grammar), I explained how I deal with big grammar points like ‘Past habits’ or ‘Present Perfect’ that appear in coursebooks with a grammatical syllabus. I was thinking, as teachers often do, about adapting content to learners as part of our lesson planning. But what about the bigger picture? How can we move away from a coursebook’s grammatical syllabus in our course planning? The first thing to say is that a grammatical syllabus isn’t necessarily the evil it’s often made out to be (whatever I might say below)! It’s likely to go down well with analytical learners that see the patterns in language, and learners coming from an educational background that places a lot of importance on grammar. When I worked in Italy, for example, many learners felt at home with a grammatical syllabus, as they had grown up studying languages that way. But… That doesn’t necessarily mean it was the best thing for them in terms of learning to speak English. It’s the old dichotomy of ‘knowing how the language works in theory’ (linguistic competence) vs ‘being able to use the language in practice’ (communicative competence). I’m not debating the importance of grammar itself in learning a foreign language, just whether we should prioritise it as the building blocks of a course. Read the rest of my blog post on British Council’s TeachingEnglish website. Featured image adapted from: Image from page 437 of “Textile raw materials and their conversion into yarns… For more information on images on TESOLtoolbox, see Imagery. Pete at ELT Planning recently wrote a very honest and reflective blogpost about Correcting pronunciation errors from Thai speakers of English. Generally, I think pronunciation is one of the areas of teaching which suffers the most from a disconnect between theory and practice. So this sort of reflection is really refreshing. In the spirit of reflective practice, I would like to share my thoughts on t/d/ɪd and s/z/ɪz, and chart how my approach to this one phonology point has changed over the years and with different learners. I distinctly remember the first time I taught this pronunciation point. I was doing after-school tutoring with a teenager in Sicily before I had my CertTESOL. We categorised the words in a table headed t/d/ɪd, said them a few times and went on to do some conversation. Not bad for a first attempt, and both I and the learner enjoyed it. 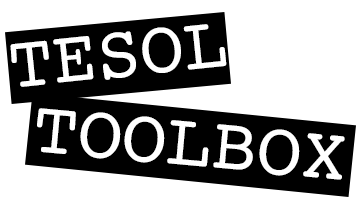 I got my CertTESOL and taught t/d/ɪd countless times again in London, Cagliari, Melilla and Bournemouth. I gradually built up a bank of fun activities for my predominantly teenage learners at that time. I still use many of those activities now, like pronunciation maze, odd one out and tic-tac-toe. Literally reflecting on t/d/id here. Thank you super-shiny whiteboard.